The Mercedes-Benz A 45 AMG will start from $74,900. 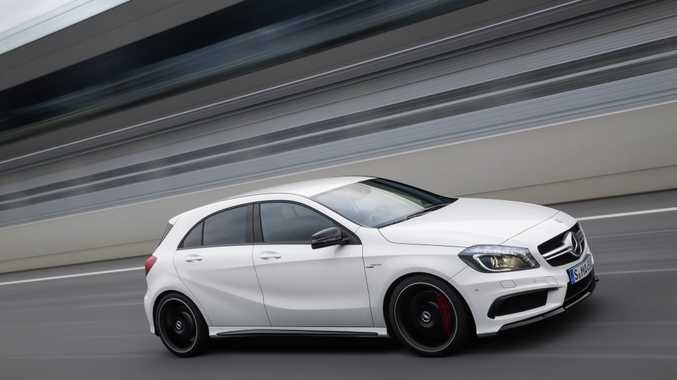 THIS new Mercedes-Benz A 45 AMG will be hot property when it arrives this September with a price-tag of $74,900. With standard models already selling like hot cakes, the range-topping derivative of the A-Class range will be in equally high demand. The compact four-cylinder marks a new era for the luxury brand and represents a dynamic proposition for a new target group. Younger buyers have been streaming into Mercedes-Benz showrooms since the launch of the new A-Class. But this A 45 AMG is something special. It features the most powerful series production four-cylinder engine in the world, delivering a maximum output of 265kW and up to 450Nm of torque. The 2.0-litre turbocharged engine sends power to all four wheels and can accelerate from from 0-100kmh in 4.6 seconds, while its top speed is 270 km/h (electronically limited). "The A 45 AMG is set to revolutionise the performance car market and continues the success story of AMG products in our market", said Mr Horst Von Sanden, managing director of Mercedes-Benz Cars Australia/Pacific. 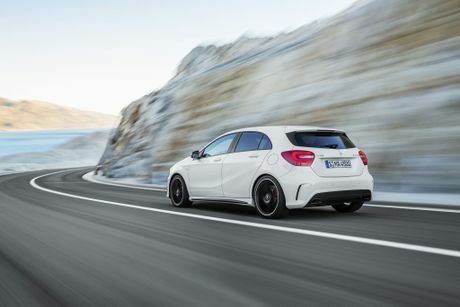 "The A 45 AMG delivers not only cutting-edge technology, but also a thrilling driving experience. This is high-performance AMG personified." Standard feature include 19-inch alloys, AMG exhaust, COMAND Online, Intelligent Light System, Panoramic Roof and AMG performance seats with electric memory function. The A 45 AMG will also arrive with a host of standard safety equipment such as DISTRONIC PLUS and Blind Spot and Lane Keep Assist driver assistance systems.